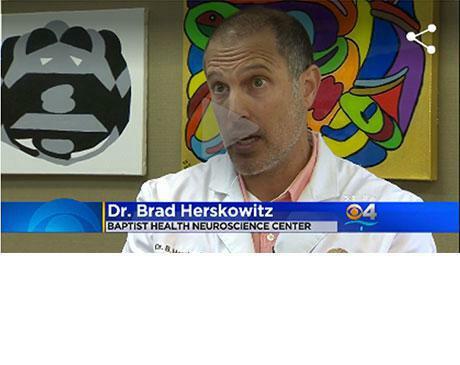 "Dr.Brad Hershkowitz has been a very affective neurologist for me since 2008. " "Rarely have to wait longer than 15 minutes to be seen, they accommodate my schedule well. "Dr. PINZON is a caring, has wonderful bedside manner, truly takes time to listen to us." "Dr Jaramillo is a very capable and empathetic neurologist.."
"Great, caring and thorough doctors"
"Very caring... Done more for my daughter than any doctor"
"Best MD I've ever been to. So thoughtful and caring." "Excellent doctor, caring, attentive, very smart. recommend highly!" "Amazing neurologist! I've had migraine headaches my life and he's really helped me." "I haven't seen him in years but he is great, so...THAT is why I haven't had to go back!" "Great doctor. Great experience. Highly recommend." The Neurology Group is a world-class, research-driven neurology practice located in Miami. Led by a group of leading physicians with a broad range of specialties and decades of collective experience, The Neurology Group provides only the highest quality medical care to patients from communities throughout southeastern Florida. The Neurology Group offers a complete menu of diagnostic, management, and treatment services for disorders that affect the central and peripheral nervous systems. This includes disorders of the brain, spine, nerves, and sensory receptors. The practice’s team of experienced and highly-trained neurologists specialize in stroke treatment and post-stroke rehabilitation, sleep disorder management, headache and migraine care, and neurology-related sports medicine. They’re also leaders in their field when it comes to providing cutting-edge treatment and compassionate care for patients affected by chronic neurological diseases, including multiple sclerosis, Parkinson’s disease, epilepsy, and myasthenia gravis. They’re proud to offer state-of-the-art treatment approaches, including Botox® therapy, advanced neurological rehabilitation, physical therapy, speech therapy, and medical marijuana for chronic pain. The physicians at The Neurology Group are on staff at Baptist Hospital of Miami, South Miami Hospital, and Jackson South Community Hospital. Our mission is to exceed quality standards by ensuring accurate research is provided for the development of new treatments! Call us 305-596-2080 about our research programs and compensation. The Physicians of The Neurology Group have Practiced in the Greater Miami Area Since 1973. We accept most insurances. Please call the office if you have questions regarding your health insurance. We enjoy supporting the Heart Ball, an elegant celebration of life, with proceeds benefiting the American Heart Association. Dr. Herskowitz is being awarded the Clinical Affiliate Preceptor Award by the FIU Herbert Wertheim College of Medicine in April 2017. Moving Day ® Miami presented by Terranova Corporation presents 30 Shades of Blue, creating awareness in April for Parkinson's Awareness Month. See how we supported this event.